Well my motivation was high this week but it all got focused on work instead of exercise. 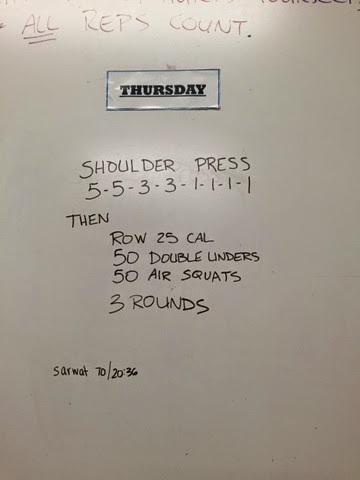 I did another WOD on Thursday but still feel a sharp pain on my right side when I squat with just 25 lbs so back to the chiropractor on Monday. I got up to 70 lbs, I almost got 75 lbs but my left arm gave up. All the stretching helps a but but hasn't made me 100%. I didn't even have time for yoga but I hope to change that this weekend. On Friday, work surpassed extracurricular activities again, the weekend will be another story.